9) The “RX” 10-volt line (top gray wire) on the left of the mother-board has a diode added in series with it (note direction of diode). 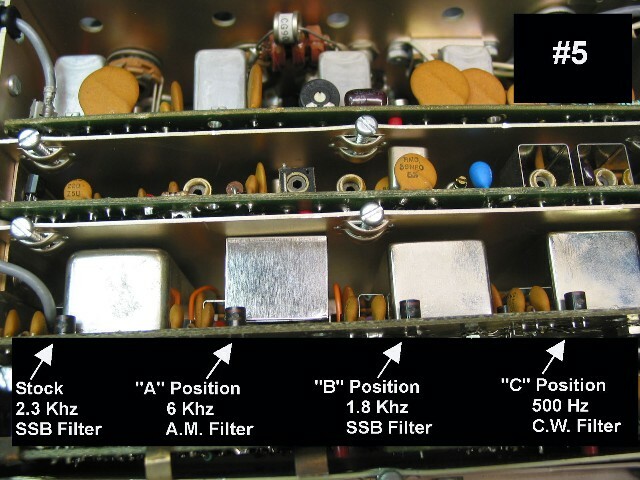 This is the ”A” position on the front-panel selection (see photo #4). 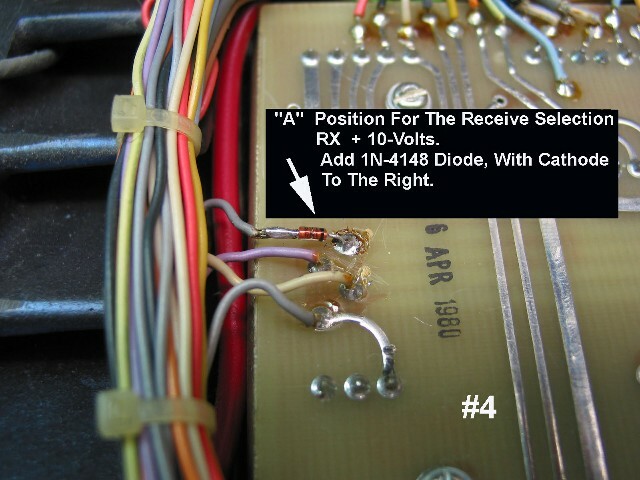 11) Now this completes the wiring of the TR-7! 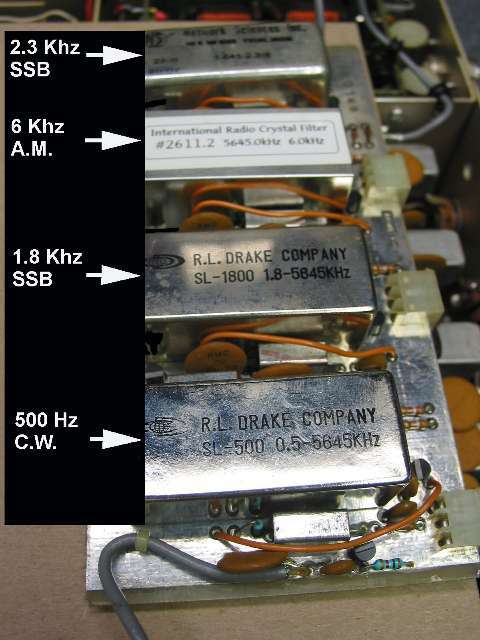 When you operate on A.M. with the TR-7, first make your filter selection in the “A” position for receive. The old “store” switch is now pushed in for the “W I D E” transmit, and the old “fixed” lamp will light when you transmit. The carrier should be set for no more than 25 watts for any length of time and bring the microphone gain up until the watt-meter starts to wiggle upward on voice peaks. I recommend a stock D-104 (no pre-amp) and solder the microphone audio “hot” lead to pin #4 of the microphone connector. Drake has already installed the 680 K ohm resistor; which is in series now with the microphone element and makes the D-104 sound great! Have fun with the Drake TR-7 and enjoy A.M. with a great rig. 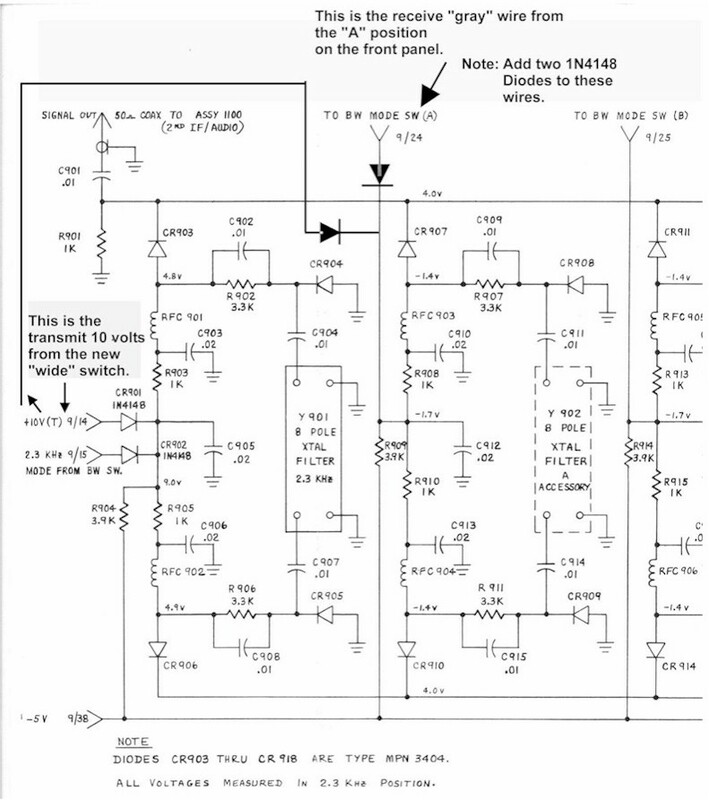 Pictured below is the wiring diagram showing the wiring changes for this modification.